Alex Reid here with a Halloween roundup. Actually, there's nothing Halloween about it — beyond enjoying the fall colors and brisk air at our offices near Johns Hopkins Hospital. Instead, we want to bring you something deeply uplifting. Japanese researchers at the prestigious Kanazawa University have found a rare tropical plant with incredible cancer-killing potential. Studies are still in the early stage, so don't expect it to start showing up in treatments right away, but this is another great example of modern science finding health breakthroughs OUTSIDE of the pharmaceutical assembly lines. In other uplifting news, a man named Martin Beckman was diagnosed with both prostate AND liver cancer. But he used a similar natural treatment alongside his traditional cancer regimen, and six months later his PET scans were completely clear! His story and the natural compound he used are part of our special Vital Truth video, available FREE right here. And finally, another study has linked DIET drinks to weight GAIN, not weight loss. We've been suspicious of these chemical formulations for a long time, and the evidence continues to mount. There are no free lunches in nature! It seems these ultra-sweet chemicals like aspartame still trigger a sugar-like response in your body even though there's not actual sugar in the soda. So if you're on a diet, skip the diet soda. That full story is right here. Have you heard of cannabidiol? More commonly known as CBD oil, it is a natural remedy for many different conditions. This article examines the surprising uses for CBD and its benefits backed by scientific evidence. The benefits of the Moringa plant are immense. It can slow aging, help balance hormones, lower your blood sugar, and even help with depression. Read on to discover why Moringa may just be the only superfood you ever need. Today's top story is a rare moment of self-reflection from a top psychologist, who says we're misdiagnosing children with ADD. No kidding! If you've been paying attention to the way we treat children, it's obvious something is wrong. Want to Erase Your Joint Pain? 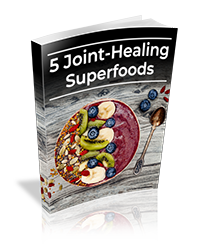 Download our free guide and discover 5 of the most powerful joint-healing superfoods! The “Alaskan Gold” That Cuts Stiffness by 67%! And The One Food You Eat Every Day... But That Could Lead to an Early Death! After signing up, you'll also get FREE access to the Clear Health Now Newsletter. Pharma companies make $450 billion a year selling drugs to you and 350 million other Americans. Globally, that figure rises to over $1 trillion. 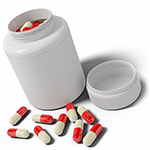 However, new health breakthroughs could mean the end of Big Pharma. These amazing treatments work FAR BETTER than the drugs that power the trillion-dollar pharmaceutical industry. Discover those breakthroughs and much more in The Vital Truth. 1 Could this unusual milk be the health... 2 [Alert] High blood pressure now... 3 The Viking's Secret to Beat Depression 4 Schizophrenic symptoms DEFEATED with... 5 Plastic Poop?